I have finally managed to get Challenge To Myself number 3 off my needles. It's been a long time coming, but it is finally done. When it's all blocked, I'll do a post all about it. What this post is about is what I'm going to do for CTM#4! I went plastic box diving and rummaged around for a good long while and to my horror pulled out this. Now don't get me wrong, it's lovely yarn. A cotton/viscose/silk blend, RYC Luxury Cotton DK which is so soft and drapey I know it will knit up beautifully. What filled me with dread was that I have 14 skeins of the stuff. That's 1330m/1456yds of yarn to work with. That means I will be knitting another garment. The other worry, is that I've gone off the colour, in fact I'm not sure I was every particularly enamoured of it, even when I went sales bin diving for it. I may feel differently when it is knit up though. 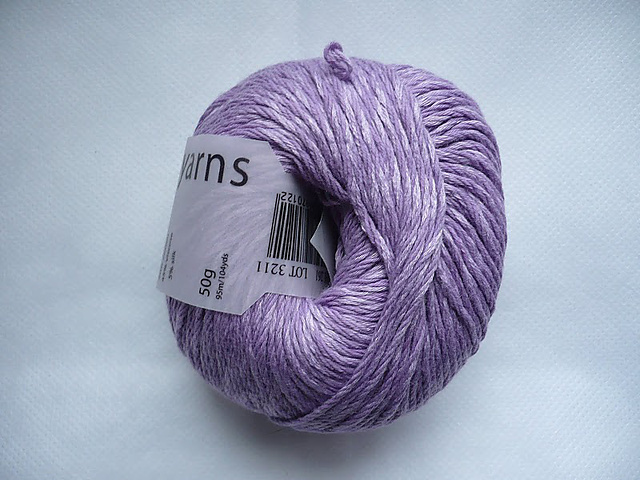 I even have a few skeins of this yarn in white that I could use to accent or break up the purple. If worse comes to worse there is always dye! I have decided that I want to use a pattern that I already own for this CTM. To that end, I have been running searches on Ravelry and now have a short list. Autumn Afternoons by Amanada Jones from an Simply Knitting, Issue 98. I think I'm swinging between the Strafford Tee and the Cable and Pleat Tunic. I like the lace detail of the Tee, and the shaping. I think it's a smart looking t-shirt. I do, however, think that the Tunic will be really comfortable and flattering, when I've got a sore and swollen tummy. It's a tough choice. I think I'll get both patterns out, look at the schematics, do some swatching and then decide. Of course this is all complicated by having two different dyelots of this yarn!